(Newser) – "This is not life." That's what a fed-up resident of the Venezuelan city of Maracaibo tells Vice News. Residents of that country, which is being ravaged by an economic downturn and serious energy shortage, have already had their workweek slashed to two days (at least the 2 million public sector employees have), endured rolling blackouts, and had their school week reduced. 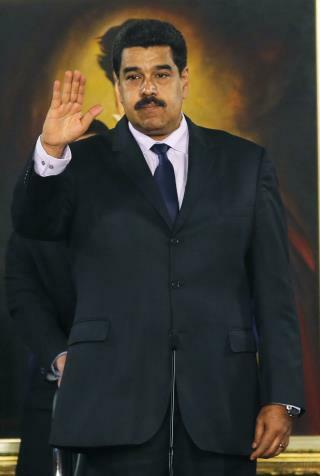 In the latest effort on the energy front, President Nicolas Maduro had the country move its clocks forward a half hour on Sunday, the BBC reports. Science and Technology Minister Jorge Arreaza noted that nighttime lighting and AC use were a major drain on the national power grid and gave the "simple" directive a pleasant spin: It "will allow us to enjoy more daylight, and it won't get dark so early." If only we can find to the right sort to run a socialist country!